Abenomics, the stimulus policy of Japanese Prime Minister Shinzo Abe (standing in the car,) might be driving the recent runup on Wall Street. If you've been making money from the rallies on Wall Street this week, then maybe you should thank the Japanese. Japan has one of the largest pension funds in the world -- a massive $1.1 trillion -- and it's starting to deploy more of that money in markets outside its homeland, including the United States. Tim Anderson, managing director of TJM Investments in New York, said this is already making an impact on Wall Street. He believes the Government Pension Investment Fund of Japan was gobbling up U.S. stocks on Wednesday and Thursday, helping drive the Dow up 170 points over the two days. "The largest pension plan on the planet said they were going to do an equity expansion," said Anderson. "This equals about $50 billion for the U.S. market." Big blue chip stocks are the most likely to benefit, Anderson predicts, especially those with high dividends. 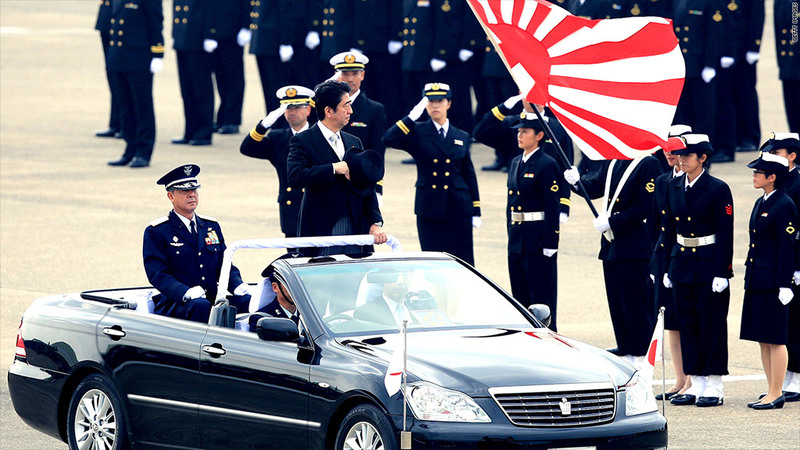 Japan has been transparent about its intentions to diversify its investments. On October 31, the pension fund announced it would more than double the international stock portion of its portfolio to 25% from 12%. "I know they were in the market this week buying U.S. equities," he said. "I really think it was the catalyst for the rally yesterday." This comes on the heels of an announcement Friday from the Bank of Japan that it plans to increase its asset purchases to an annual pace of about ¥80 trillion, compared to the current rate of ¥60 trillion to ¥70 trillion. Global stock markets rallied on the news. This increase in stimulus spending is part of "Abenomics," Prime Minister Shinzo Abe's efforts to jumpstart the Japanese economy. The move comes as the Federal Reserve winds down its economic aid.